Suitable for wood, paint, varnish, plaster, filler and metal. Self-sharpening grain, anti clogging, with durable E weight paper backing. 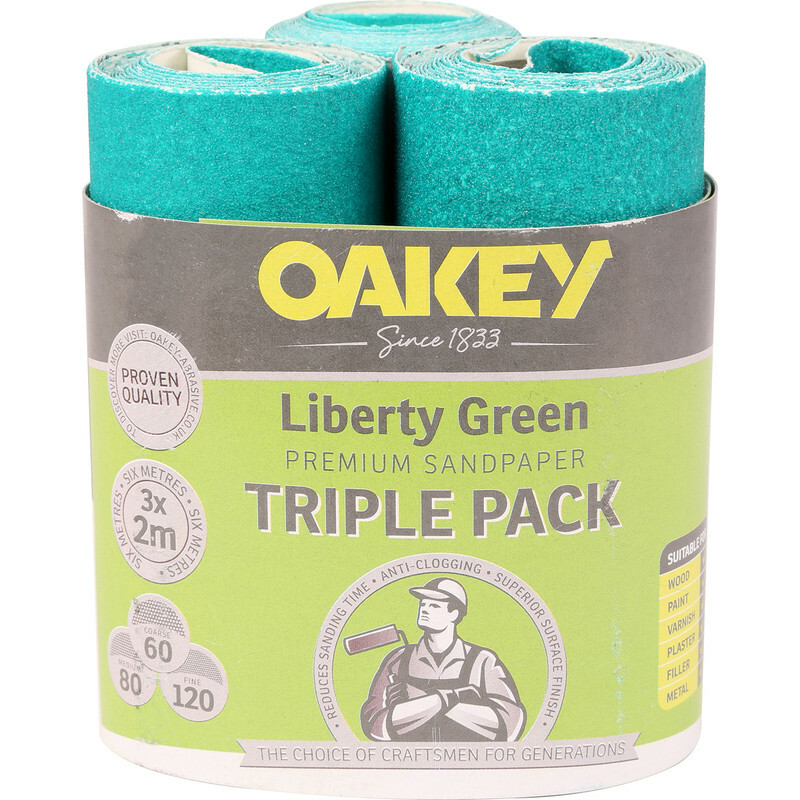 Oakey Sanding Rolls Triple Pack 60, 80, 120g is rated 5.0 out of 5 by 2. Rated 5 out of 5 by Old Badger from Value for Money Worked well on furniture I have been restoring.